The Town of Barnstable Recreation Division's traditional Family Fun Day is being held at the Hyannis Youth & Community Center on Saturday, September 10 and all are invited to attend! Lots of free activities will take place with the popular Touch-A-Truck and Free Cookout kicking off the day's activities! Thanks to McDonalds, Stop 'n Shop, Wendy's and Shaws for your generous food donations that make the cookout happen! Call 508.790.6345 with questions! PROGRAM REGISTRATION WILL TAKE PLACE BETWEEN 12-6PM AT THE HYCC FRONT DESK! TOUCH-A-TRUCK - Town of Barnstable and Local Business' vehicles will be in the HYCC parking lot for kids of all ages to explore! FAMILY FUN DAY COOKOUT - HYCC and Recreation Division staff will serve burgers, dogs and drinks while they last! Resident Beach Parking Permit Sales 9AM-4PM. Open Gym 12-6pm. RINKS ARE CLOSED TODAY. SKATE PARK CLOSED. Resident Beach Parking Permit Sales 9AM-4PM. Public Skate 9:30am-2pm. Skate Park 1-9PM. Walk On / Freestyle Ice 5-6PM. NO OPEN GYM. NO COMMUNITY YOGA THIS MORNING! Resident Beach Parking Permit Sales 9AM-4PM. Public Skate 9:30am-2pm. Skate Park 1-9PM. Mid Cape Farmers Market 2-6PM. Walking Group 5:45-6:45pm. Adult Open Gym Volleyball 6:30-8:30PM. NO OPEN GYM. Resident Beach Parking Permit Sales 9AM-4PM. Adult Computer Lab/Game Room 9AM-12PM. Public Skate 9:30AM-2PM. Miss Lori's Klub Kidz Playgroup 9:30-11AM. Skate Park 2:30-8PM. Open Gym 6:15-9PM. Resident Beach Parking Permit Sales 9AM-4PM. Adult Computer Lab/Game Room 9AM-12PM. Public Skate 9:30AM-2PM. Open Gym 12-3PM & 6:15-9PM. Skate Park 2:30-9PM. Rock Night 7-9PM. Skate Park 12-9PM. Open Gym 12-9PM. Public Skating 2:10-4 & 7-9PM. Skate Park 12-8PM. Open Gym 1-9PM. Public Skating 2:10-4PM. MONDAY SEPTEMBER 5 -- LABOR DAY -- Have a Happy and Safe Holiday! LYNDON P. LORUSSO YOUTH CENTER IS CLOSED TODAY. NO OPEN GYM. NO PUBLIC SKATING. SKATE PARK CLOSED. Resident Beach Parking Permit Sales 9AM-4PM. Riley Hockey Camp 8am-12pm. All-Cape Rookie Camp 8:30am-1:30pm. All-Cape Hoop Camp 8:30am-3:30pm. Pro Ambitions Hockey School 3-4:50pm. Open Gym 4:30-9pm. Top Shelf Adult Hockey School 7:30-9pm. SKATE PARK CLOSED. NO PUBLIC SKATE. Resident Beach Parking Permit Sales 9AM-4PM. Riley Hockey Camp 8am-12pm. All-Cape Rookie Camp 8:30am-1:30pm. All-Cape Hoop Camp 8:30am-3:30pm. Miss Lori's Klub Kidz Playgroup 9:30-11AM. Skate Park 12-8PM. Pro Ambitions Hockey School 3-4:50pm. Walk On / Freestyle Ice 5-6PM. Boys & Girls High School Basketball League 5:30-9:30PM. NO PUBLIC SKATING. NO OPEN GYM. Free Community Yoga 8-9AM. Riley Hockey Camp 8am-12pm. All-All-Cape Hoop Camp 8:30am-3:30pm. Resident Beach Parking Permit Sales 9AM-4PM. Skate Park 12-8PM. Mid Cape Farmers Market 2-6PM. Pro Ambitions Hockey 3-4:50pm. LEARN TO SKATE 5-6PM. Street Hockey 5:30-7:15PM. Walking Group 5:45-6:45pm. Adult Open Gym Volleyball 6:30-8:30PM. NO PUBLIC SKATING. NO OPEN GYM. Riley Hockey Camp 8am-12pm. All-All-Cape Hoop Camp 8:30am-3:30pm. Resident Beach Parking Permit Sales 9AM-4PM. Miss Lori's Klub Kidz Playgroup 9:30-11AM. Klub Kidz Lunch Bunch 11:30AM-1:30PM. Skate Park 12-8PM. Pro Ambitions Hockey 3-4:50pm. Boys & Girls High School Basketball League 5:30-9:30PM. NO PUBLIC SKATING. NO OPEN GYM. Riley Hockey Camp 8am-12pm. All-All-Cape Hoop Camp 8:30am-3:30pm. Resident Beach Parking Permit Sales 9AM-4PM. Skate Park 12-8PM. Pro Ambitions Hockey 3-4:50pm. Open Gym 4:30-9PM. Family Skate 5-6:50PM. Rock Night 7-9PM. Resident Beach Parking Permit Sales 9AM-4PM. Open Gym 12-9PM. Skate Park 12-8PM. Public Skating 2:10-4 & 7-9PM. Top Shelf Hockey School Goalie Clinic & Drills Session 8:20-10:30AM. Resident Parking Permit Sales 9AM-12PM. ZUMBA 9-10AM. Skate Park 12-8PM. Walk-On Freestyle Ice 12:10-1:10PM and 1:20-2:20PM. Open Gym 1-9PM. Public Skate 2:30-4:20PM. Parent / Child Stick Time 4:20-5:20. Adult Hockey 9:10-10:10PM. Resident Beach Parking Permit Sales 9AM-4PM. Hodge Hockey Clinic 9am-2pm. Public Skate 9:30am-1:30pm. Open Gym 12-9pm. Top Shelf Adult Hockey School 7:30-9pm. SKATE PARK CLOSED. There's no better place to practice yoga than on a beach in the summer. Build strength, flexibility and balance while reducing your stress. This gentle Hatha Yoga class incorporates a gentle flow appropriate for beginners as well as more experienced practitioners. Bring a towel or two (mats are slippery in the sand) wear loose, comfortable clothing. Presented by Gin Ryan, RYT and founder of Community Yoga. Mondays and Fridays, 7 am-8:15 am AT Veteran's Beach, Rain or Shine. (In case of inclement weather we will practice in the beach house). Fee: $75 for 8 week program. * Drop-ins also welcome-$5 per class, pay at the beach. Classes start Friday July 8, 2011 and end Monday August 29, 2011. Sign up for the 8 week program at Barnstable Recreation at the Hyannis Youth & Community Center, 141 Bassett Lane, Hyannis, MA. 02601. For more information contact: [email protected] or 774-251-0370, or Mark Boardley 508-790-6345 x116. This Week at the HYCC - NOTE: THIS THURSDAY FROM 3-5PM FREE BRUINS STREET HOCKEY CLINIC! Fitness Boot Camp 6-7AM. Girls Summer Basketball Program 9AM-12PM. Public Skate 9:30AM-2PM. Miss Lori's Klub Kidz Creative Movement 9:30-11AM. Tot Learn to Skate 12:30-1PM. OPEN GYM 3:30-9PM. Skate Park 2:30-8PM. Walk On / Freestyle Ice 4-6PM. Co-Ed Volleyball League 7-9PM. Free Community Yoga 8-9AM. Girls Summer Basketball Program 9AM-12PM. Public Skate 9:30AM-2PM. Young Kickers Soccer Discovery 10-11AM. Mid Cape Farmers Market 2-6PM. OPEN GYM 3:30-6PM. Skate Park 2:30-8PM. Walking Group 5:45-6:45pm. Adult Volleyball Open Gym 6:30-8:30PM. Fitness Boot Camp 6-7AM. Girls Summer Basketball Program 9AM-12PM. Public Skating 9:30AM-2PM. Miss Lori's Klub Kidz Creative Movement 9:30-11AM. Skate Park 2:30-8PM. BOSTON BRUINS STREET BRIGADE 3-5PM. OPEN GYM 3:30-9PM. Girls Summer Basketball Program 9AM-12PM. Public Skate 9:30AM-2PM. Open Gym 3:30-9PM. Skate Park 2:30-8PM. Family Skate 5-7PM. Rock Night 7-9PM. Saturday Learn to Skate 11:45AM-2PM & 4:10-6:20PM. Open Gym 12-10PM. Skate Park 12-8PM. Public Skating 2:10-3:20 & 7-9PM. ZUMBA 10-11AM. Open Gym 12-10PM. Walk-On Freestyle Ice 12:10-1:10PM and 1:20-2:20PM. Public Skate 2:30-4:20PM. Parent / Child Stick Time 4:20-5:20. Cape Cod Roller Hockey League 6-10PM. Adult Hockey 9:10-10:10PM. Public Skate 9:30AM-2PM. Open Gym 4:30-6PM. SKATE PARK CLOSED. CLICK HERE TO PRINT OUT A COUPON GOOD FOR ONE FREE ADMISSION WITH EACH PAID ADULT! Make this Holiday Weekend a happy and safe occasion for all! Don't forget, the HYCC is the hottest place to cool off this summer with public skating offered nearly every day in the Kennedy Rink. Look for your coupon good for a free child's admission with the purchase of an adult admission in the Kids On the Cape Spring 2011 edition on page 28! If you're not a skater, a $5 Day Pass will get you in to the Lyndon P. Lorusso Youth Center for the whole day where you can play ping pong, pool, shoot hoops, walk the track or check out the Computer Lab! Annual Memberships are just $20 for Barnstable taxpayers and $40 for non-residents /visitors. You can walk-in and try out one of our early morning fitness classes with professional sports fitness instructors! Boot Camp, Zumba or Capoeira! The outdoor Skate Park is a popular place for youngsters to practice their moves! Entry is free but skaters must have helmets and elbow/knee pads (we have some in our skate shack to rent for $1 each). Here is the schedule for the Holiday Weekend! Open Gym 2:30-6PM. Skate Park 2:30-8PM. Public Skate 9:30AM-2PM. Rock Night 7-9PM. Fitness Boot Camp 6-7AM. Saturday Learn to Skate 11:45AM-2PM & 4:10-6:20PM. Skate Park 12-8PM. Public Skating 2:10-4:10 & 7-9PM. NO OPEN GYM. ZUMBA 10-11AM. CAPOEIRA 11:15AM-12:15PM. Walk-On Freestyle Ice 12:10-1:10PM. Public Skate 2:30-4:20PM. Open Gym 3-9PM. Cape Cod Roller Hockey League 6-10PM. Adult Hockey 9:10-10:10PM. THE BUILDING AND SKATE PARK ARE CLOSED. HAVE A HAPPY AND SAFE HOLIDAY! LOOKING FOR ICE TIME, GYM TIME OR A GREAT PLACE TO HAVE YOUR BIRTHDAY PARTY OR CORPORATE FUNCTION? Call us at 508.790.6345 today! RAINY WEEK = LOTS TO DO AND SEE AT THE H-Y-C-C! (Hyannis, MA - May 16, 2011) Come in out of the rain and have some fun with us! There is so much for the whole family to do this week at the Hyannis Youth & Community Center! Annual memberships are just $20 for Barnstable taxpayers and $40 for non-residents. Day passes are just $5! Here is a look at what is happening this week! MONDAY MAY 16 -- LYNDON P. LORUSSO YOUTH CENTER / GAME ROOM Adults: 9am-12pm / Students: 2:30-9pm. Tots Learn to Skate 9:30-10AM. Public Skate 9:30AM-2PM & 3:30-5PM. Open Gym 2:30-9PM. Adult Learn to Skate 6:15-7:15PM. Skate Park CLOSED. Fitness Boot Camp 6-7AM. Miss Lori's Toddler Play Group 9:30-11AM. Public Skating 9:30AM-2PM. 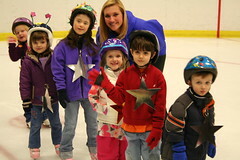 Tot Learn to Skate 12:30-1PM. OPEN GYM 2:30-6PM. Skate Park 2:30-8PM. Co-Ed Volleyball League 7-9PM. Free Community Yoga 8-9AM. Public Skating 9:30AM-2PM & 3:30-5PM. Young Kickers Soccer Discovery 10-11AM. OPEN GYM 2:30-6PM. Skate Park 2:30-8PM. Adult Volleyball Open Gym 6:30-8:30PM. Fitness Boot Camp 6-7AM. Public Skating 9:30AM-2PM. Miss Lori's Toddler Play Group 9:30-11AM. Skate Park 2:30-8PM. OPEN GYM 2:30-9PM. Dancing Like the Stars (Get Ready for Prom) 6-8PM. Open Gym 2:30-9PM. Skate Park 2:30-8PM. Public Skate 9:30AM-2PM. No Rock Night. Fitness Boot Camp 6-7AM. Saturday Learn to Skate 11:45AM-2PM & 4:10-6:20PM. Skate Park 12-8PM. Public Skating 7-9PM. NO OPEN GYM. Cape Cod Waves Girls Basketball Spring Classic. ZUMBA 10-11AM. CAPOEIRA 11:15AM-12:15PM. Open Gym 5-9PM. Walk-On Freestyle Ice 12:10-1:10PM. Public Skate 2:30-4:20PM. Adult Hockey 9:10-10:10PM. Cape Cod Waves Girls Basketball Spring Classic. Click here for a larger, printable PDF of the map. HONOR YOUR LOVED ONE. SUPPORT EACH OTHER. WALK FOR ALZHEIMER'S SERVICES! Serving local families, caregivers and those afflicted with the irreversible and incurable disease, Alzheimer's Services of Cape Cod and the Islands is expanding the Miles of Memories Walk that has had great success each year at the Cape Cod Canal in Bourne with additional walks on Nantucket and Martha's Vineyard as well as Hyannis on May 15th and on May 22nd at the Canal, in Harwich and Provincetown. The new 3-mile route in Hyannis will start and end at the HYCC and the walk will kick-off at noon! All proceeds will benefit local families, caregivers and those affected by the disease. The Walk begins at the HYCC at noon and follows High School Road from the roundabout, left onto Main Street, right into the Village Green and continues along the Walkway to the Sea, across South Street to the Harborfront, turning around at the HyLine terminal and back the way they came. TD Bank's WOW Van will be on hand to encourage the participants, along with volunteers from Cape Cod Community College. IT'S NOT TOO LATE TO REGISTER FOR THE WALK! It's not too late to register your team and there is no minimum donation to walk! Visit www.alzcapecod.org for details! All proceeds will benefit families who are dealing with Alzheimer's Disease right here on Cape Cod! Register your team today or sign on as an individual! Once you register to participate in the "Miles of Memories" Walk for Alzheimer's, you will have several resources available to help you as you gear up to raise funds for Alzheimer's Services of Cape Cod & the Islands. Thanks to sponsors Atria Senior Living Group, Radius Healthcare Centers, The Royal Health Group, Hanlon Shoes, Ballise Nissan, BackOffice Associates, and Drake, Saunders & Diwinsky - A Retirement Planning Company for their major support. Hyannis Map Sponsors include Brazilian Grill, the BBC, The Federated Church of Hyannis, HyLine Cruises, Ring Bros. Marketplace and TD Bank. Additional sponsors include Berkshire Healthcare, Broad Reach Health Care, Cape & Islands United Way, Harbor Point at Centerville and Independence Park Inc. Special thanks to the Hyannis Main Street Business Improvement District and the Barnstable Police Department for their guidance and assistance in creating this new event! MONDAY APR 25 -- LYNDON P. LORUSSO YOUTH CENTER / GAME ROOM Adults: 9am-12pm / Students: 2:30-9PM. Tots Learn to Skate 9:30-10AM. Public Skating 3:30-5:00PM. Open Gym 2:30-9PM. Adult Learn to Skate 6:15-7:15PM. Skate Park CLOSED. Fitness Boot Camp 6-7AM. Miss Lori's Toddler Play Group 9:30-11AM. Tot Learn to Skate 12:30-1PM. OPEN GYM 2:30-6PM. Skate Park 2:30-8PM. Public Skating 3:30-5PM. Co-Ed Volleyball League 7-9PM. Free Community Yoga 8-9AM. Young Kickers Soccer Discovery 10-11AM. OPEN GYM 2:30-6PM. Skate Park 2:30-8PM. Public Skating 3:30-5PM. Adult Volleyball Open Gym 6:30-8:30PM. Fitness Boot Camp 6-7AM. Miss Lori's Toddler Play Group 9:30-11AM. Skate Park 2:30-8PM. OPEN GYM 2:30-9PM. Public Skating 3:30-5PM. Open Gym 2:30-9PM. Skate Park 2:30-8PM. Family Skate 5-7PM. Rock Night 7:15-9:15PM. Fitness Boot Camp 6-7AM. Saturday Learn to Skate 11:45AM-2PM & 4:10-6:20PM. OPEN GYM 12-9PM. Skate Park 12-8PM. Public Skating 2:10-4PM & 7-9PM. ZUMBA 10-11AM. CAPOEIRA 11:15AM-12:15PM. Open Gym 12-9PM. Walk-On Freestyle Ice 12:10-1:10PM. Public Skate 2:30-4:30PM. Adult Hockey 9:10-10:10PM. Tots Learn to Skate 9:30-10AM. Public Skate 3:30-5:00PM. Open Gym 2:30-9PM. Adult Learn to Skate 6:15-7:15PM. Skate Park CLOSED. LOOKING FOR ICE TIME, GYM TIME OR A GREAT PLACE TO HAVE YOUR BIRTHDAY PARTY, BUSINESS MEETING OR CORPORATE FUNCTION? Call us at 508.790.6345 today! FRIDAY FAMILY SKATE (5-7PM) BEFORE ROCK NIGHT (7:15-9:15PM) IN THE KENNEDY RINK AT THE HYCC! COME AND KICK OFF THE WEEKEND WITH US! Here's a chance for the kids in grades K-2 to skate with their family and friends from 5-7PM on the Kennedy Rink before the big kids in Grades 3-7 take to the ice on their own! We'll play popular music that the whole family will enjoy and give away prizes donated by local businesses! Admission is just $5 per person and skate rentals are available for $5/pair.